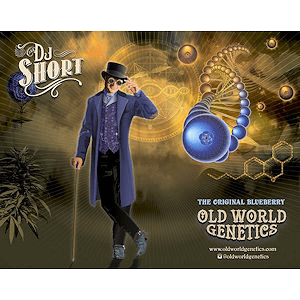 A Breeder since the early 70’s, DJ Short has produced some of the most unique strains found anywhere on the planet. His Blueberry strain described by some as ‘the most wonderful form of marijuana to date’, placed first in the Indica category at the 2000 Cannabis Cup. Current Promotion: Purchase any pack of Old World gear and receive a free regular 5 pack of Limonene Queen from Second Generation Genetics!